The mission of the SHSU Special Collections department is to preserve and maintain special and unique books and manuscripts of Newton Gresham Library for generations to come. 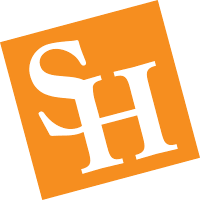 We hope to provide academic support for ongoing student and faculty research through the best possible arrangement and description of the materials housed in SHSU Special Collections. As the "treasure room" of the Newton Gresham Library, SHSU Special Collections--housed in the Thomason Room--is home to such rare books and fine bindings as have come to this institution over its many years of existence. SHSU Special Collections also collects and maintains subject specialties such as Texana, Civil War, criminal justice, avant-garde poetry and local history. Notable among the displays are the vivid drawings of Col. John. W. Thomason, Jr., for whom the Thomason Room was named in 1968 when the Newton Gresham Library was completed. Thomason, born in Huntsville in 1893, had a distinguished career as a Marine officer (his book Fix Bayonets! is still a revered work to Marines and World War I buffs). Finally, two important collections of criminal justice materials are the personal libraries and papers of the first two directors of the Bureau of Prisons, Sanford Bates and James V. Bennett. We invite faculty, staff and students of Sam Houston State University to come to the fourth floor of Newton Gresham Library between the hours of 8:00 a.m. and 5:00 p.m., Monday through Friday, to use our collections and learn how we can help facilitate your research. We are eager also to provide instruction both in the Thomason Room and in the classroom and community. Please contact Trent Shotwell, MLIS, the Special Collections Librarian, at speccoll@shsu.edu or 936.294.1619 to schedule a special visit or arrange for classroom instruction.